The summer heat is finally here. Living in Los Angeles, the summer heat doesn’t get that bad, but when it does, it’s just yuck. N and I went to a potluck barbecue yesterday, and I did not want to bring anything hot or anything that was supposed to be grilled. I wanted something cool and also healthy (since the other people at the potluck were rsvping “I’ll bring dessert! Booze! Chips!”), so I volunteered a side dish. Rather than a pasta salad, I opted for a cool quinoa salad. I usually eat quinoa warm, but room temperature or chilled quinoa is just as good (if not better!). To give it a kick, I added a curry vinaigrette. This is a pretty versatile salad, so feel free to swap out the garbanzo beans and squash for whatever you have in your house. Cook quinoa, place in a bowl to cool. Slice and quarter the squash. Put a pan on medium heat and add the olive oil. Once hot, add garlic and squash. Cook squash till soft, about 10 minutes. While the squash is cooking, combine oil, vinegar, honey, curry powder salt in a small bowl for your vinaigrette. 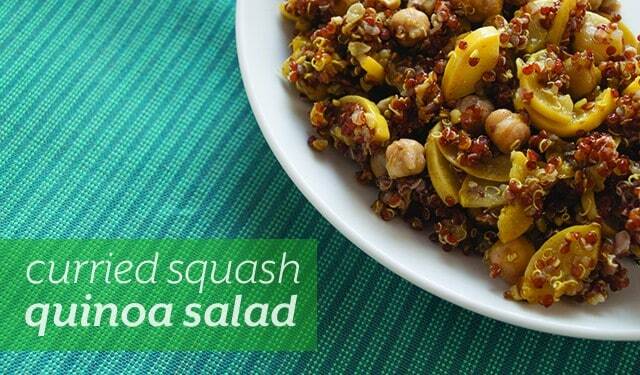 Once squash is ready, add squash, garbanzo beans, and walnuts to the bowl with quinoa. Stir to combine. Once fully combined, stir in curry vinaigrette. Serve immediately if you want it warm. If you want it cold, chill for an hour or two, then serve. While I was growing up, my parents would occasionally imitate “dumb blondes” with something they had seen in a commercial or a joke they had heard. A waiter in a restaurant asks the blonde, “Red or white wine?” She replies, “Sure!” So she’s either dumb or an alcoholic, or both. This week, I planned on making salsa. The days are longer, the shorts have been unpacked, and the beautiful, fresh tomatoes are returning to the farmers’ market. As I was walking up and down the market searching for jalapenos, I found tomatillos first. Later, I found the jalapenos. 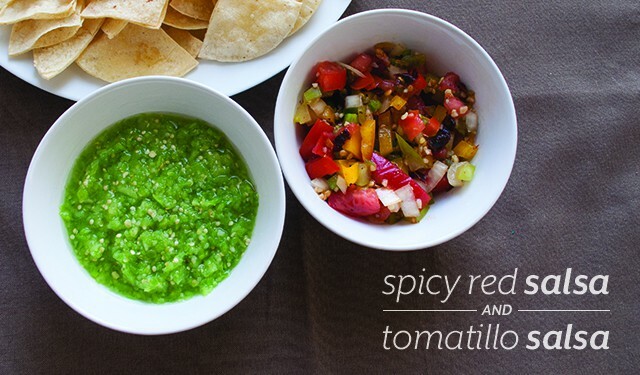 When I started pulling out my recipes, I noticed my favorite salsa recipe didn’t have tomatillos in it. So should I make red or green salsa? In a bowl, combine all ingredients. Refrigerate the salsa. The longer it sits, the more flavorful it gets! Put all ingredients in a food processor and pulse to combine until coarse. Blend on low speed until a coarse puree is formed. Add more lime or salt if needed. Refrigerate. Life has a way of making things interesting. 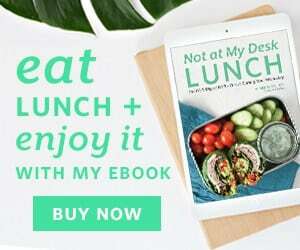 When I started working on today’s post, I had a completely different recipe in mind. I made it, tasted it, liked it, but not enough to share with all of you. It wasn’t quite there yet, and I want to spend more time developing it and making it perfect. So, I shifted gears and decide to feature what I had already planned to make for dinner tonight, which is stuffed pattypan squash with quinoa. I had some small pattypan squash in my CSA box waiting to be used, and I found some larger ones at the farmer’s market. Stuffing some squash would be enough for me and N, right? Sure. Wrong! I had bought too few squash and more filling then squash. The little pattypans that I gotten from my CSA box were better as appetizers or sides rather than the dinner I had planned. 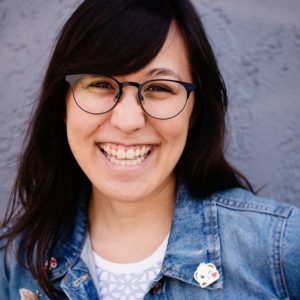 When I was growing up, there was a segment on Bill Nye the Science Guy called “Did You Know That…?” And it always ended with “Now you know.” Yes, now I very much know. Slice off the stem on the pattypan. Take a melon baller, measuring spoon, or small spoon (depending on the size of your squash) and scoop out the insides, much like you would a pumpkin at Halloween. Keep 1/2 cup of squash insides and discard the rest and the seeds. Place the pattypan squash on the baking sheet. Heat oil in a pan over medium-high heat. Add onion and garlic and cook until softened. Stir in cumin and oregano and cook for about a minute. Add reserved squash insides, tomato, and corn and saute. Then stir in water, quinoa, chipotle pepper, and adobo sauce . Continue to cook on medium-high heat until most of the liquid has evaporated. Remove from heat and add salt and pepper to taste. 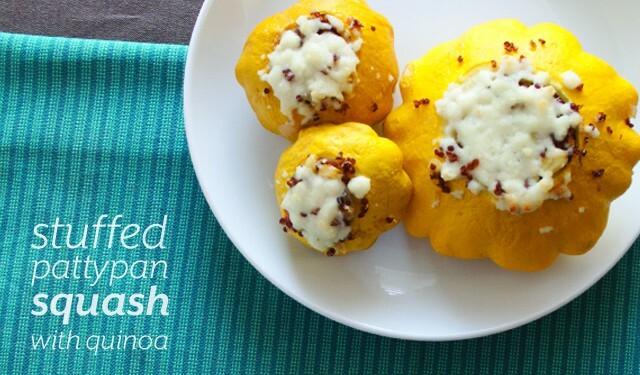 Put filling inside the squash and top with queso fresco. Bake for 20 minutes or until squash is tender. I hated egg salad sandwiches as a kid. Every few months or so, my dad would make egg salad sandwiches for lunch. While my dad, mom and brother ate them, I ate something else. Thinking back on it, I’m not even sure why I didn’t like them. Maybe the texture? I wasn’t a huge mayo fan? I don’t really know. Growing up, I also didn’t like avocados. I didn’t hold hatred in my heart for it like egg salad, but I would pass if it was offered. My mom would often just put it on toast with some butter and happily eat away while I looked at her, bewildered. When I moved out to LA and met N, I gave avocados another try. I also started eating sushi (sushi in the midwest is questionable, at best) and California rolls were brimming with avocado. Egg salad came back into my life more recently. N made an egg salad sandwich for himself a few months ago and offered me a bite. It actually wasn’t that bad! I’m still not a huge mayo fan, but I liked it! Later I started noticing the variations people were making on classic sandwiches. Different breads, fancier cheeses, spicier mayo, pickled vegetables. Egg salad was not immune to the variations. Someone suggested swapping out the mayo in the egg salad for avocado, making the fat healthier and just as delicious. I was intrigued. The next time we had avocados I tried it. And it was heaven! The two things I had truly despised as a kid had come together to form a gloriously rich and mouthwatering combination. Who would have thought? In a medium bowl, place hardboiled eggs and cubed avocado. 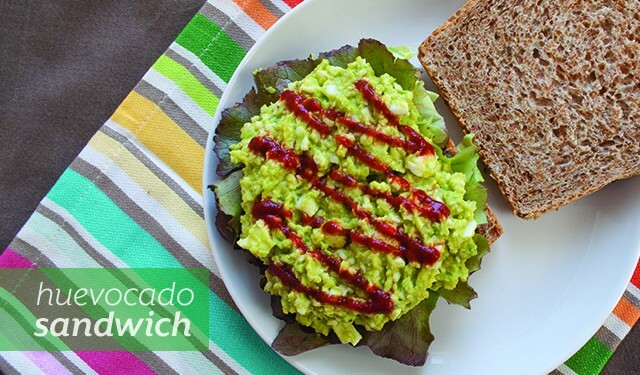 Break up the hardboiled eggs with a fork and mash in the avocados until the egg and avocados are fully incorporated. Add lemon juice, chili powder, and salt and pepper. To make Sriracha mayo, whisk mayo and Sriracha together. Toast sandwich bread. Spread mayo on bread, add lettuce and top with huevocado mixture.